Welcome to the website of Mr Gavin Watters FRCS(Eng) FRCS(ORL), consultant Ear Nose and Throat Surgeon. Gavin Watters offers a comprehensive service to private and NHS patients, which includes all aspects of general adult and paediatric ENT practice. In addition to dealing with common ear, nose and throat conditions, he also has a specialist interest in head and neck cancer, thyroid surgery, skin tumours and the surgical management of chronic ear disease. Gavin Watters has NHS consultant appointments at Southend Hospital and Broomfield Hospital, Chelmsford. Private practice is at the Spire Wellesley Hospital in Southend. He is on the specialist lists of all the major health-care insurers. 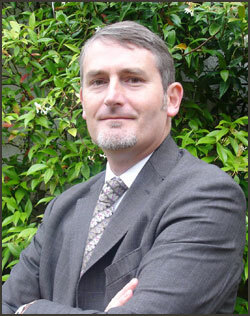 He is a council member of ENT UK and the regional Royal College of Surgeons specialty advisor.